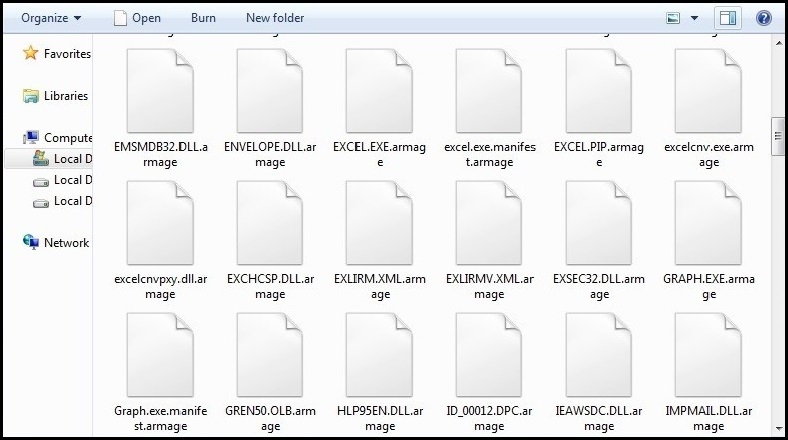 Beware of the Armage Ransomware - the File Destroyer! Beware of the Armage Ransomware – the File Destroyer! 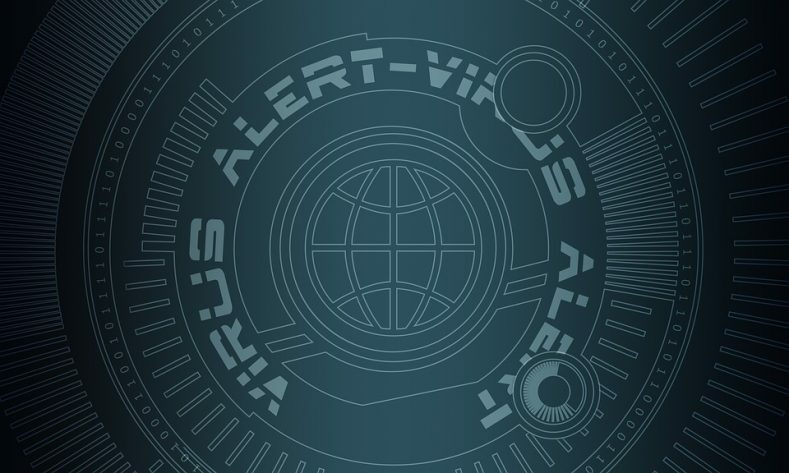 In July last week, Quick Heal Security Labs detected a new ransomware called Armage. It appends ‘.Armage’ extension to files it encrypts. Armage ransomware uses the AES-256 encryption algorithm to encode files making them inoperable. It spreads via spam emails and corrupted text files. 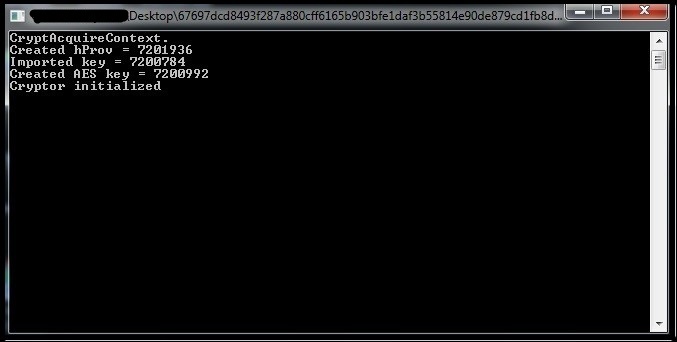 Once executed on the infected computer, Armage ransomware opens the command line message narrating the encryption algorithm it has used. See fig 1. 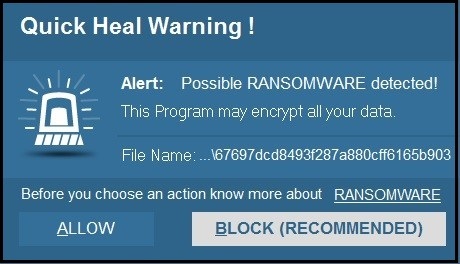 The ransomware does not drop any artifact to perform the malicious activity or to encrypt data. The entire malicious activity (encryption) is carried out by the mother file itself. After invading, the ransomware searches for the first file alphabetically to encrypt the data using Windows API FindFirstFileA as shown in fig 2 and to find the next file it has used FindNextFileA API as shown in fig 3. Fig.2 FindFirstfileA API is used. After encrypting the data from the folder, Armage drops ‘Notice.txt’ – a ransom note mentioning the ransom to be paid with other details. Further, the ransomware drops ‘Notice.txt’ in all the folders wherever data is encrypted. The ransom note also mentions the below. As per the PE file analysis, we have found that ransomware injects itself into the processes that run with the administrative privileges so that it can delete shadow copies using command ‘vssadmin delete shadows /all. This command executes the vssadmin.exe utility and deletes all copies quietly. Fig 5 below shows the code used to delete the shadow copies. Below are the API’s used by ransomware to encrypt the data. 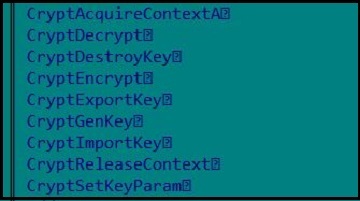 The ransomware encrypts all PE and Non-PE files with ‘.armage’ extension as shown below. Fig 9. 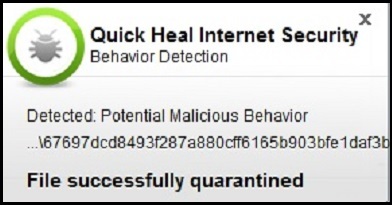 Behavior detection system blocks the malware. Always take a backup of your important data in external drives like HDD and pen drives. Consider using a reliable Cloud service to store the data. Never install any freeware or cracked versions of any software. Do not open any advertisement pages shown on websites without knowing that they are genuine. 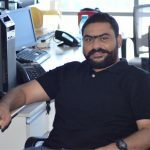 Disable macros while using MS Office. Update your antivirus to protect your system from unknown threats. Never click on links or downloads attachments in emails from unexpected, unknown or unwanted sources.